Prevent (and reverse) disease – so that your later years are filled with travel, exercise and activities you enjoy in the company of family and friends – rather than shuffling around an “old folks” home? Shed excess fat and easily maintain your ideal weight, while still enjoying your favorite foods and decadent desserts? Provide your family with the healthiest organic foods – and turn those foods into delicious and nourishing meals – without spending all your money at the store and all your time in the kitchen? Use the healing power of foods to slow down the aging process and keep your vision sharp, your mind clear and your body strong? Finally, would you like all of these tools and this life-changing information delivered to you in way that is easy to understand and filled with practical tips you can put into action today? If you answered YES to even one of these questions, Healing Gourmet is for you! You’re in the Right Place – and We’re Glad You’re Here! If you’re overweight and want to lose fat… if you’re unhealthy and want to feel better… if you feel worn down and need more energy… and even if you are in tip-top shape and you want to stay that way… we can help you. If you’re already familiar with our story and you just want to know where to begin and how to navigate the thousands of pages we’ve published, please Start Here. On the other hand, if you want to learn more about Healing Gourmet and specifically how we can help you on your lifelong journey of health, please keep reading! My name is Kelley Herring, founder and CEO of Healing Gourmet (Yes, that’s me at the right with the cupcake). If you’d like to learn a little more about me personally, please read the story of my journey from sickness to health (and my frustration with “modern” medicine). My academic background is in biology and chemistry and for the last 15 years, I have focused on the study of nutritional biochemistry… and the proven powers of compounds in foods to heal the body. I enjoy the challenge of presenting complex research in a way that is practical and easy to understand. I love science and I’ve spent a lot of time in the library… and in the laboratory. But my true passion has always been cooking and baking and creating recipes. In other words, it is the “kitchen laboratory” where my heart is truly at home. In the summer of 2000, Healing Gourmet was founded with the mission to educate on how foods promote health and protect against disease. I was thrilled to combine my passion for nutritional research with my love for cooking and recipe creation. And my youthful enthusiasm must have been persuasive, because one of our first accomplishments was to secure a partnership with McGraw Hill – one of the largest publishers in the world. At the time, I was 26 years old and I used my only credit card to book the flight to New York (I didn’t have the money to buy the ticket). I still remember the butterflies in my stomach as I stepped out of the taxi and tilted my head back to take in all 51 stories of their corporate headquarters. And I will never forget the feeling of excitement when the executives on the other side of the table reached across to shake my hand… and agreed to publish not one, but a series of four books produced by Healing Gourmet! We immediately began to curate a team of doctors, nutritionists and chefs from world renowned institutions. And for the next two years I led this team as we created educational tools, meal plans and recipes designed to prevent and treat the most pressing health concerns of our day. I’m very proud of the books we produced with McGraw Hill, including Eat to Fight Cancer, Eat to Beat Diabetes, Eat to Lower Cholesterol and Eat to Boost Fertility. During those years, I worked very closely with doctors from Harvard Medical School and the Harvard School of Public Health, the Cleveland Clinic and the University of California… as well as representatives of the American Heart Association, the American Diabetes Association and US public health agencies. Politics and money often trump research and that the goal of mainstream medicine is not to make people healthy – the goal is to make a profit. The medical institutions and government health authorities don’t really want answers to the health and obesity crisis… they want answers that fit a certain paradigm. Bad science, flawed studies and unproven theories had become the “gospel truth” of conventional wisdom. Just one example led to healthy foods (like eggs) being demonized, while unhealthy foods (like vegetable oils and cereal grains) were touted as healthy. Most of what we’ve been taught about health and nutrition is just plain WRONG. In many cases, the advice is not just the wrong thing to do… it is the EXACT OPPOSITE of the right thing to do (like recommending a low-fat, high-carbohydrate diet to diabetes and cancer patients). I also saw rampant conflicts of interest. For example, did you know that the former Chief Medical & Scientific Officer of the American Diabetes Association, Dr. Richard Kahn, once made the following statement? What is the evidence that sugar itself has anything to do with diabetes? There is no evidence. None. There is not a shred of evidence that sugar per se has anything to do with getting diabetes. The ignorance of this comment is astounding. But it makes sense when you consider that just weeks later, the ADA announced a multi-million dollar alliance with Cadbury-Schweppes – one of the largest manufacturers of candy and sweetened soft drinks in the world. After all, why bother trying to “prevent” the disease, when you can simply “manage” it with toxic and expensive drugs! Of course, conflicts of interest cross all borders. Actually, Dr. Glanville, the research does NOT show that. But my research DOES show that you have served on the scientific advisory board of the Sugar Institute of Canada! I could go on… but you get the point. The field of health is awash in myths, misconceptions and outright lies. And perhaps the biggest lie of all is that there are no cures for chronic diseases like cancer, heart disease, diabetes, arthritis, Alzheimer’s, macular degeneration, COPD, digestive disorders, and the list goes on. If you cannot cure a disease, then you can only treat it… and without the cure, the “treatment” can last a lifetime. Quite a profitable racket, wouldn’t you say? In most cases, your risk for chronic disease has very little to do with your genetics. It is these factors that will determine whether you’re bound for disability and chronic illness… or abundant health and good times for a long time! The great news is that all five of these forces can be controlled by what you put in your mouth and how you live your life. Our mission is to help you make the choices that take you toward a life of vitality, abundant energy and optimal health! We believe – as Hippocrates did – that your body already has the blueprint for perfect health. Abundant proof exists that the human body can make disease simply vanish when it has the building elements it needs in the right amounts and is not assaulted by toxins and a poor diet. First, we take a healthy dose of research on compounds in foods and their effects on disease… then we combine these scientific findings with culinary finesse to whip up mouthwatering recipes and easy-to-use meal plans that deliver as much taste as they do nutrition. We have also produced dozens of books, free reports and hundreds of articles, filled with practical steps to achieve a lean body and vibrant health – with the greatest enjoyment and least sacrifice! You will NEVER hear us talk out of both sides of our mouth. We can’t tell you how many “food bloggers” claim to promote health… and yet on the very next page, they are promoting sugar-laden recipes, toxic artificial ingredients, harmful cooking techniques, hormone-pumped meats and pesticide-ridden produce. Yuck! We take our responsibility to you very seriously. After all, when you really think about it, these are matters of life and death. It is information that programs your genes… it is cellular fuel… immune support… free-radical defense… detoxification… hormonal balance… and glowing, supple skin… all wrapped up in a delicious, disease-fighting package. That is, if you are eating the right foods! Just below, we’ll share our Guiding Principles… but first, we hope you’ll take a moment to join the Healing Gourmet Newsletter. We save our best content, recipes and discount codes for our loyal subscribers! Our Guiding Principles: Follow These 8 to Protect Your Fate! We promote whole foods in Mother Nature’s perfect packaging. No GMOs or “Frankenfoods” here. No additives, preservatives, artificial sweeteners, flavors, colors, hormones, antibiotics or “man-made” foods to wreak havoc on your health. No trans fats, olestra or fat substitutes here. The fats you’ll enjoy in our recipes and menus are healthy fats in the right ratios. Learn about the dangers of omega 6 fats, how much omega-3 you should be getting, the benefits of monounsaturated fats and the many ways a diet high in healthy fats benefits your health. 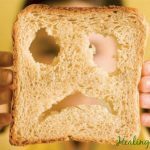 Stripped, refined, puffed, extruded processed grains and sugars contribute to diabetes, obesity, cancer, heart disease and every other chronic disease. Nothing refined here, but our taste. And preserving your health is only on part of the equation. In our mission to promote human health, we also make a commitment to preserve Mother Earth. You can’t have one without the other! Guided by these eight principles, you’ll find the right thing to do isn’t just easy… it tastes good too!